Every girl needs some Stevie Stone in their lives, so why not show some love with his new “Himmi Hyme” booty shorts? The all black bottoms with white Stevie Stone and Strange Music logos are a must have. Strange music merchandise is printed on the finest fabrics, so these are sure to rub you the right way. 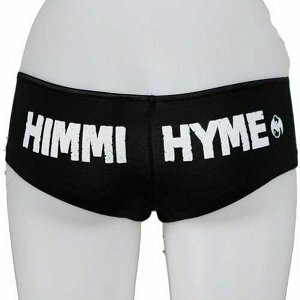 Click here to purchase your very own “Himmi Hyme” booty shorts or pick them up when you see Stevie Stone on the ‘All 6’s and 7’s‘ tour with Tech N9ne this summer!